About a month ago I got a chance to try on this awesome brand of jeans called Yoga Jeans by Second Denim Co. I’d heard about them thru a reader that swore up and down that these were the most comfortable and flattering jeans she had ever tried on and that I had to try them so I ran out to RW&CO that afternoon which sells the brand and tried them on immediately. They are so comfortable and flattering that they’ve replaced Wunder Unders for me as casual wear. I was so excited about these jeans after trying them on that I contacted the Second Denim Company and they graciously agreed to sponsor this post with a contest for readers. The most fantastic part about this company is that they are firmly committed and proud of the fact that all of their jeans are made in Canada. All designs, washing and finishing are done in Montreal, Canada and Eric Wasana, the owner of Second Denim is it’s sole designer. Now as for the fit, they are expertly constructed with top quality denim sourced from Italy, Japan, Spain and the Americas, 97% brushed cotton denim and 3% elastine. Their 92% memory retention means that although these jeans stretch and move with you, they will not bag out (industry standard for that is around 64%. Hello saggy jeggings that start with a G and end in an AP) and they will snap right back to hug your curves. You can literally do yoga in these jeans and feel perfectly comfortable in any of asanas you would feel comfortable doing in Wunder Unders. Please note though that these are not sweat wicking or cooling so it’s not ideal for workouts in that regard, but they are ideal for playing with your kids at the playground, showing off your yoga moves to friends at dinner parties and for looking very stylish yet comfortable in. Second Denim Yoga Jeans come in a variety of bodies ranging from low, mid, high and sky rise as well as a variety of legs such as skinny, straight, bootcut and flare. My usual denim size varies, I’m a 31 and 32 in Levi’s Demi Curve Jeans, 32 in J Brand. 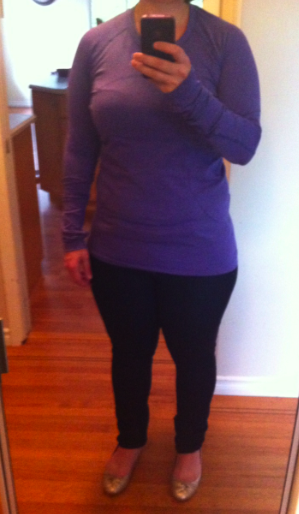 The size I opted for in the skinny mid rise Yoga Jeans was the 31 and they are quite comfortable and fit perfect. I really find these have the comfort of Wunder Unders but also have the structure of denim that really hides flaws and makes you look put together and stylish. The material really does feel like denim and not some weird faux denim luon like material. It’s definitely structured denim but with extra stretch and flaw coverage. The Yoga Jeans retails for about $120 and is sold at various retailers in the US and Canada. If you are in Vancouver you can find these jeans at Holt Renfrew, Plum and RW&CO to name a few. There are various retailers in the US that also sell these Yoga Jeans which you can find on the Second Denim website under store locator. 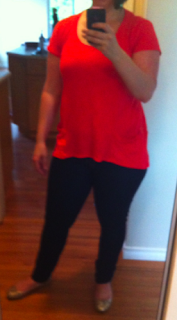 The next pair of Yoga Jeans I’d like to buy are the caramel colored jeans in skinny and high rise. Now for the giveaway part. Second Denim is offering one pair of any of their Yoga Jeans to one of my readers. In order to win a pair you must ‘like’ them on their facebook page (Yoga Jeans) in order to be eligible. You must also leave a comment in my comments section telling me you would like a pair of Yoga Jeans, your comment is how I will create a random draw using whatever name you chose to leave your comment under (do not leave an anon or guest comment). You get an extra entry to this contest for posting a link of this contest on your own blog (shoot me an email at [email protected] with the link). The contest ends on July 14th and I will name the winner of this contest in a blog post on July 15th instructing the winner to contact me by email to finalize. If the winner fails to contact me within 24 hours I will have a redraw. Good luck!! I know you will love these jeans as much as I do. "A Little Birdie Says: Sing Floss Travel Jackets Making A Come Back"
"Product Alert Images: Cool Racerback Pow Pink and Pop Orange, Swiftly Racerback Pow Pink and More"